Helping people in Leicestershire get legal re-dress. In the UK, owning a gym membership is now more popular than it’s ever been, and Leicester is no different. 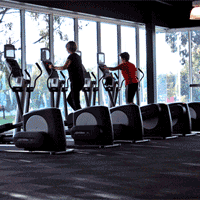 There are thousands of people in the city regularly using gyms, sports centres, leisure centres, and swimming pools. However, they are also high risks places for sustaining injury. If you have been hurt or injured whilst using gym equipment in Leicester and believe that it was due to third party negligence then we can help you to claim for personal injury compensation. When you call us just tell us what happened and we can make an instant decision on whether or not you are eligible to claim. If you are we will then assign you a personal injury solicitor who will manage the case for you. It’s very unlikely that you would need to attend court, and any compensation will be paid for via the gym’s public liability insurance scheme. In simple terms, if there is any scenario in any public such as this where you have been hurt and the fault can be apportioned to a third party, then there’s every chance you could claim. Gym injury compensation amounts will vary depending on the injury, with most cases being strains and breaks to limbs. All parts of the body will have unique compensation guidelines set for them, and factors such as how long it took you to recover and your financial losses will determine the compensation award. If you would like to know more then call us today. Our solicitors all work on a no win no fee agreement* and we are currently offering free advice over the telephone to all callers.